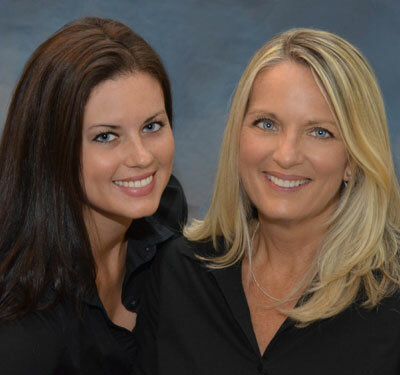 Let our experienced staff of professionals demonstrate why St Augustine Quick Signs is the most complete and trusted in town. In a hurry to get a banner or yard sign made? We specialize in getting things done on your schedule! Looking for a new trusted partner to get the job done on time? We have trained professionals on staff who are personally assigned to your project to walk it through production from start to finish. 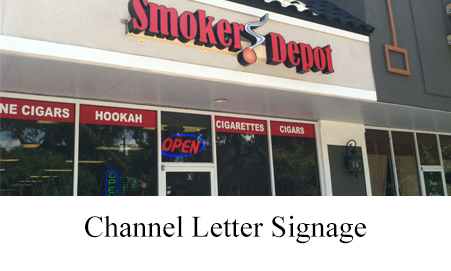 St. Augustine Quick Signs is your headquarters for fast and efficient signage at affordable prices. We can design, install, and print signs of all types with fast turnaround on your schedule. Our locally owned and operated company is one of the most trusted design and print shops in St. Augustine. Our customers rely on us for speedy results that are always at the highest levels of quality. 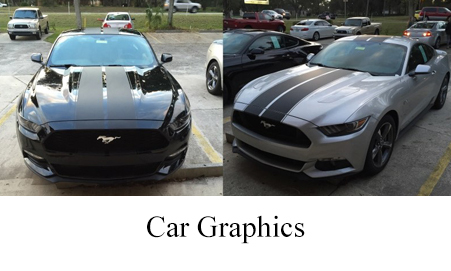 We provide a comprehensive array of different services including vehicle lettering, exterior signs, banners, channel lettering, photo prints, wall graphics, window lettering, and many more services. No matter what the scope of your project may be, we have the capability to produce outstanding results. Our print shop offers both standard and large format printing to accommodate your printing needs. 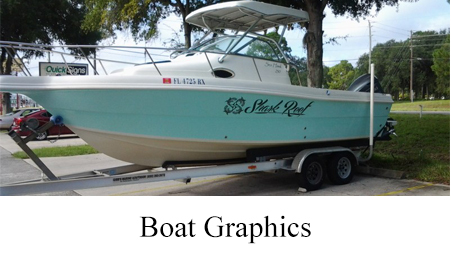 St. Augustine Quick Signs is a locally owned and operated company providing the best printing services for our customers. We are proud to provide personalized attention for every project ensuring complete customer satisfaction. At our sign store, we can deliver a full service approach from design up until the final installation. We ensure your complete satisfaction with each and every order. 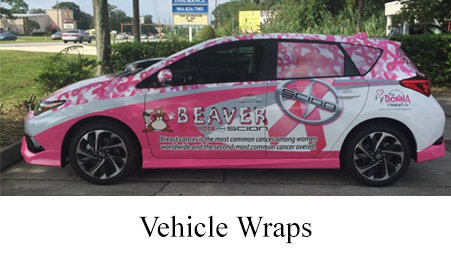 At St, Augustine Quick Signs, we can do it all from window signage to product labels and much more! 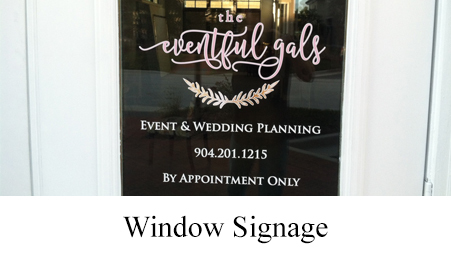 Give us a call at (904) 310-1010 for the fastest signage, printing, and installation services in town! We look forward to providing the outstanding results your next project deserves. Our quick response team ensures your project goes smoothly. We’ll do what it takes to meet your deadline! Our design team will provide more than one great design option. More design choices give you better options for delivering your message! Installation experience is vitally important in exterior signage. Rest easy with our experienced installer at the helm of your major signage project. 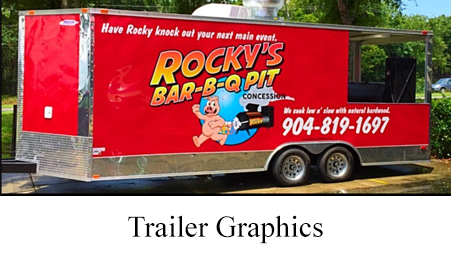 Proudly and locally owned and managed by St. Augustine residents. These Are Just A Few Of Our Talents. There’s Plenty More! 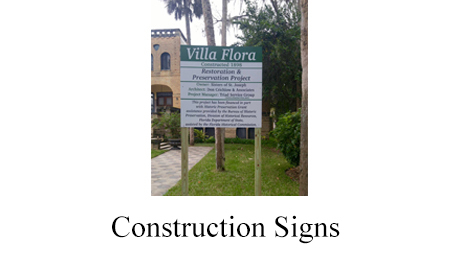 As a resident of St. Augustine, and now a new business owner, I welcome the opportunity to serve your signage needs. Not long ago I needed a simple banner for my daughter’s graduation party. I ended up having to order it online and pay overnight next morning shipping because I couldn’t find any one in town who could produce it for me within 24 hours. Here I am, many months later, bridging that gap. No longer will you have to go online to order quick signage. No longer will you have to struggle with frustrating online “design-it-yourself” programs on printer sites. 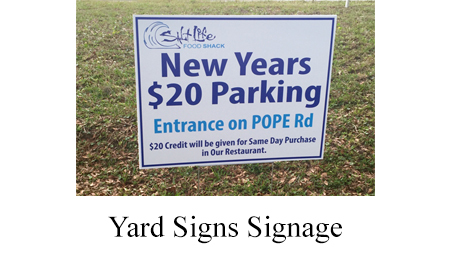 At St. Augustine Quick Signs, we’ll design and print whatever you need, and fast!